Hit the PowerHouse Arena launch party for "Twitter Wit" tonight. FREE BIRD: Thanks to Twitter – which caps messages at 140 characters – anyone can be funny, or at least sound like they speak in witty fortune-cookie mini-thoughts. (Case in point: "The baggage carousel sounds a lot more fun than it really is." Conficius couldn't have put it better himself.) 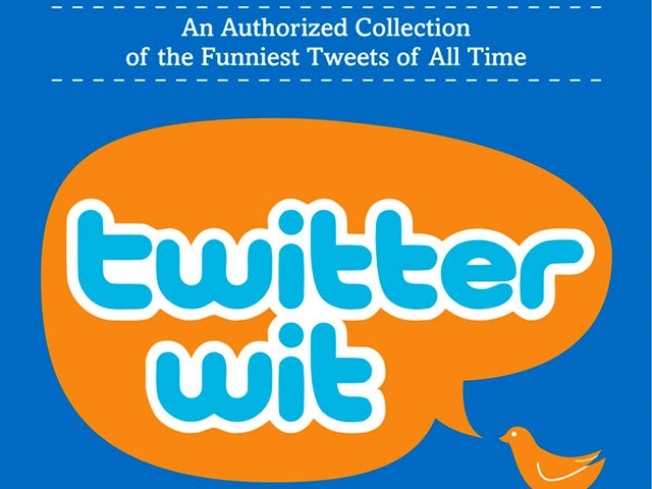 Editor Nick Douglas rounds up contributing celeb Twitterers like Michael Showalter and John “PC” Hodgman and launches the book “Twitter Wit: Brilliance in 140 Characters or Less” (HarperCollins) – an anthology of 634 Tweets -- at DUMBO’s PowerHouse Arena at 7PM. IL BORGO ANTICO: We’re not sure how much Twittering will be going on at the 82nd Feast of San Gennaro (but if you can find someone who attended the first Feast who also has a Twitter account, we’ll buy you dinner). As you devour sausage pep’ and cannoli while looking down at Little Italy from the Ferris Wheel, it’s nice to realize that some things can’t be captured in 140 characters. Through 9/20. HIGH BROW: Get ready to soak up the sights and sounds of some of Brooklyn’s most dazzling emerging artists: The first First Thursday Gallery Walk – in which studios and galleries stay open late and turn the neighborhood into one big, wine-filled art opening – is tonight. 5:30-11PM. Don’t think we’ve forgotten Fashion’s Night Out! Our far more stylish sisters at The Thread have the goods on what’s up around town as Fashion Week kicks off.